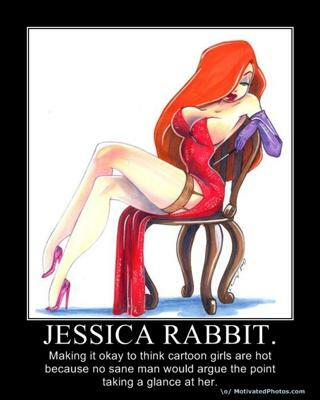 Jessica Rabbit , Disney's hottest female animated character in cartoon history!!! Curvier than a mountain road and with the peaks to match, Jessica Rabbit is like cartoon Viagra. It's little wonder she laments: "You don't know how hard it is being a woman looking the way I do." Nonetheless, the gorgeous torch singer pulls it off, standing by her man until the very end. Honestly, has anyone ever looked hotter playing patty-cake?